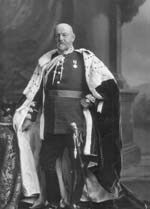 Colonel Hugh de Grey Seymour, 6th Marquis of Hertford (1843-1912). 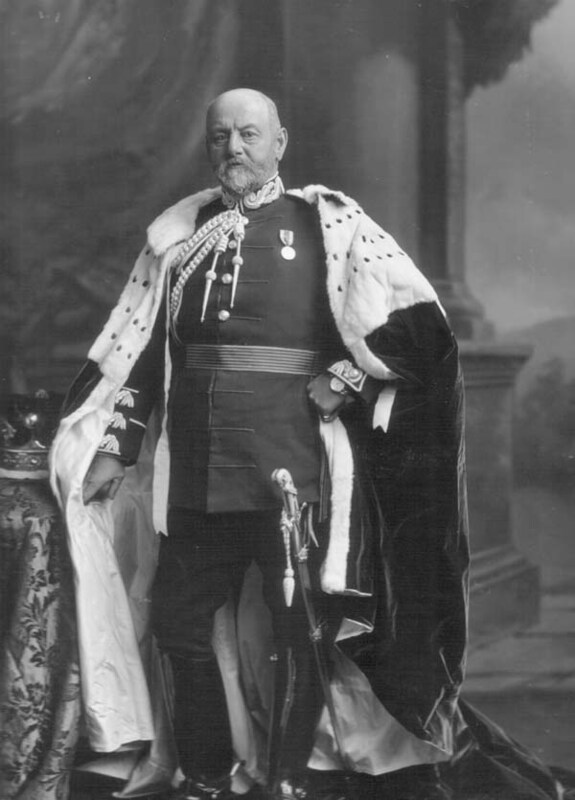 Sitter: Colonel Hugh de Grey Seymour, 6th Marquis of Hertford (1843-1912). Biog: Conservative M.P. for Co. Antrim 1869-1874 & South Warwickshire 1874-1880; Comptroller to the Household 1879-1880; A.D.C. (Yeomanry) to King Edward VII 1902-1910 & King George V 1910-1912. Costume: Peer's Robes over Full Dress uniform, A.D.C. to the King. Orders,Decorations & Medals: Queen Victoria Jubilee medal. Furniture & Props: Painted backdrop. Biog: Burke's Peerage; The Complete Peerage; Who's Who; The Army List, 1902; The Times, 25 March 1912, p 11d. Occasion: The Times, especially 11 August 1902, p 5d. 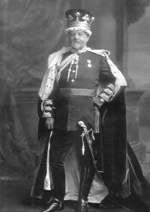 Costume: (Peer's Robes) H. Graham Bennet, ed, Dress Worn by Gentlemen at His Majesty's Court and on Occasions of Ceremony, London, 1903; (A.D.C.) Dress Regulations for the Army, London, 1900. Orders, Decorations & Medals: Howard N. Cole, Coronation and Royal Commemorative Medals 1887-1977, London, 1977.